We caught up with native Londoner Bill Boorman to learn about his take on giving and receiving feedback, career development, and the role of HR in general. Watch our bite-sized videos below. 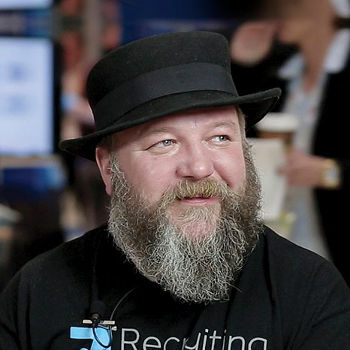 If you don’t know the man in the hat, Bill Boorman is a keynote speaker, software advisor, and the founder and host of #tru events. #tru have hosted over 100 events during the last 12 months, in 65 countries and 5 continents. Bill is consistently ranked as a top HR influencer and advises a range of organizations. In our kickoff episode, Bill Boorman walks us through the history of feedback and how it’s evolved into a continuous, constant loop — yet the corporate world continues to lag behind even as we live in an increasingly connected society. As we walk through London, Bill lists out his five areas to focus on for those looking to give better feedback. Turn these into habits and you’ll find how easy it can be to deliver clear, direct suggestions, praise, and critique. Giving feedback is just half the battle. Bill explains how we need to be adept listeners and understand how to receive it as well — especially because feedback can make for emotional conversations. Much as human beings can’t survive without nourishment, we flounder in the workspace without feedback. Given it’s the basis of how we grow and develop in the workplace, employees need to know the right way to frame feedback and then utilize it to catapult their performance. We talk a lot about continuous feedback, yet manager and employee conversations are often flawed. The intention of a conversation needs to be clarified at the start, according to Bill. He says that managers need to look inward and see how they can accept upwards feedback to develop their own leadership skills. Bill continues to the Tower of London, and reflects on internal mobility and how embracing it will be key to organisational success. Already in the onboarding phase, employers need to understand where new employees might want to go next, so they can deliver optimimum performance. The only constant is change. At an iceskating ring right in front of the Tower of London, Bill ponders the meaning of change, how change can be uncomfortable but how change also can lead to unexpected and pleasant outcomes. As the Walk & Talk explores some of London’s most famous monuments, Bill expresses his desire for HR departments to not rely too much on automation and value talking and understanding as well. He follows that up with tips on how workplaces can rediscover their human sides and reward employee for their contributions. Bill continues on to The Shard in London, which he views as allegorical to an old-fashioned career ladder (wide at the base, narrow at the top). Nowadays when it’s possible to branch a career out in a multitude of directions, the differentiator is going to be skills. He then concludes with what that means for HR. As night falls on the Thames, Bill shares his recommendations on how to manage junior team members, guiding them on their path from “newbie” via “disillusioned learner” to “independent achiever”. Against the backdrop of modern London, Bill elaborates on the similarity between new hires and newly created teams. He shares how to give feedback in general, and outlines how to guide a new team to success. Nearing the end of the day, Bill tackles tough conversation, and explains the need to decouple the tough feedback from the person receiving of it, thus giving the recipient a chance to recover and really do their best. In our last episode, Bill wraps up the day at a typical London pub, emphasizing that successful work also requires celebration. Did you enjoy Walk & Talk with Bill Boorman? Then head to our resources page for content on performance, feedback, and culture. You can also join our mailing list to get regular, curated resources on HR topics delivered into your inbox.